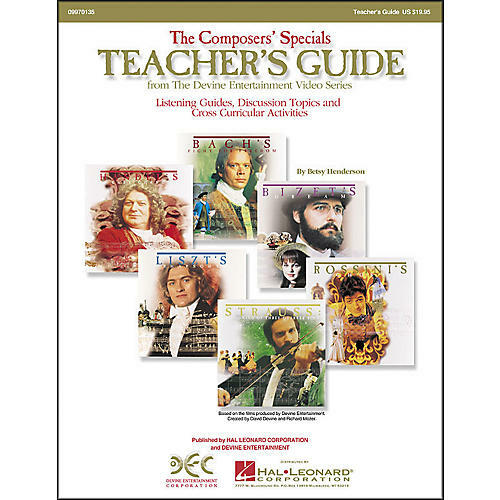 The lives and music of the great composers come alive with the Composers' Specials Video Series, and this innovative, easy-to-use teacher's guide lets you create an entire curriculum for your elementary and middle school music classes. The guide offers a variety of lesson plans to accompany the video stories of these world-famous composers: Bach, Handel, Rossini, Liszt, Strauss and Bizet. You and your students will enjoy dozens of creative activities, including easy-to-follow listening maps that highlight selections of music from each of the soundtrack CDs.